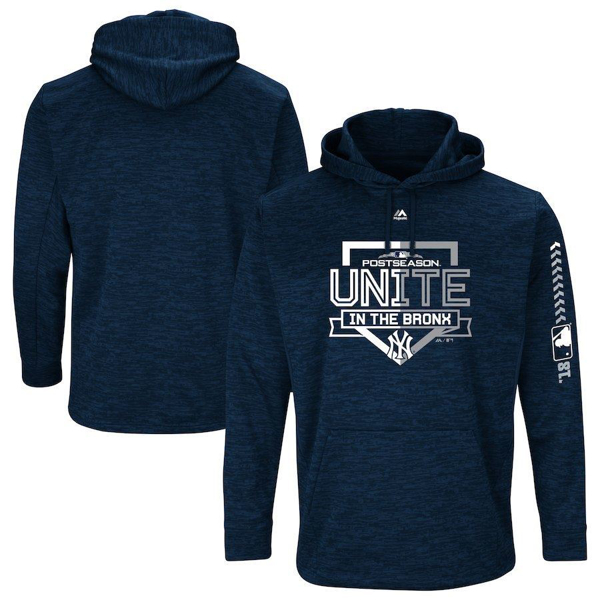 Get pumped up for the 2018 MLB Postseason when you grab this New York Yankees Authentic Collection Streak Fleece Pullover Hoodie from Majestic. The crisp graphics make this a must-have for the next big game. Announce your enthusiasm for the team anywhere you go with this New York Yankees Core Classic Stone 9TWENTY adjustable hat from New Era. The authentic squad graphics on this cap make it a great way to top off any casual ensemble.